Suitable for W211 E-Class and C209 CLS Models. Suitable for W203 C-Class and C209 CLK Models. Suitable for W251 R-Class, W164 ML & X164 GL Models. Suitable for W211 E-Class and C219 CLS LEFT HAND DRIVE Models. For Sale is a Handbrake Lever/Assy Button. Removed from a 2014 W176 MERCEDES A CLASS 1461cc Diesel 5 Door Hatchback. Please see item description for more information, you will receive everything you see in the images. Manufacture Part Number A63942700207C45. 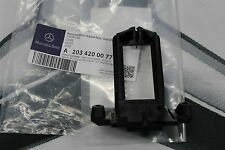 Note PART FITS:VITO W639. Type Handbrake Handles. 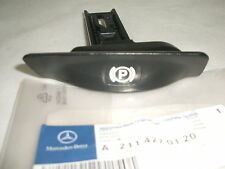 Mercedes-Benz C Class 2007 To 2011 Pedal Assembly Handbrake. For Sale is a Handbrake Lever/Assy. Removed from a 2010 MERCEDES SPRINTER 2148cc Diesel 2 Door Van. Please see item description for more information, you will receive everything you see in the images. 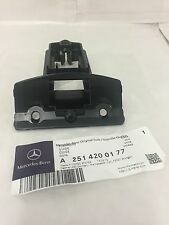 Mercedes-Benz Sprinter 2006 To 2013 Seat Base Front. Second hand parts may carry age related scuffs or storage marks etc. Collection is not a problem we will require notice of collection. 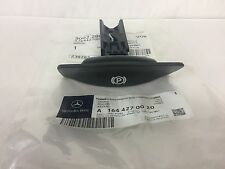 MERCEDES S-CLASS W222 2014- ELECTRONIC PARKING BRAKE SWITCH A2229050106. PART NUMBER- A2044201484. FOR YEARS: 2007, 2008, 2009, 2010, 2011, 2012, 2013, 2014 (2010). YEAR- 2007-2014. Suitable for R230 SL Right Hand Drive Models. Unsure on Suitability?. Part:Handbrake Lever/Button/Assembly. 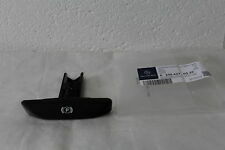 Item Specifics:1995-2002 - 5 DOOR - SALOON - HANDBRAKE LEVER - ELCTRONIC BUTTON TYPE - PART NO 2104270120. This Handbrake Lever/Button/Assembly was removed from a1997 car and has been fully inspected. HANDBRAKE FOOT PEDAL. THIS DOES NOT INCLUDE NI, ROI, HIGHLANDS OR OFFSHORE ISLANDS. 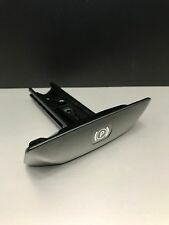 This part is in excellent condition. Part Nr:A2114270039. BODY TYPE: W211 SALOON. Park Brake Pull Lever. A203 Class models may fit other check part number. [Part Number]. Electrical components may need coding and/or programming to the car. FOR YEARS: 2004, 2005, 2006, 2007, 2008, 2009, 2010, 2011, 2012 (2006). Warranties cover Parts Only and only apply if parts are fitted by a recognised independent specialist or approved dealer. We Do Not Cover Any Labour Costs Involved With Fitting Or Removal Of Any Parts. 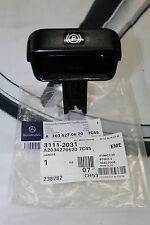 For Sale is a Electric Handbrake Lever/Assy With ECU. Removed from a 2016 W213 MERCEDES E CLASS 1950cc Diesel 4 Door Saloon. Please see item description for more information, you will receive everything you see in the images. Your understanding and patience will be highly appreciated. USED IN GOOD CONDITION. However all marks considered bigger than normal wear will be listed. FOR YEARS: 2009, 2010, 2011, 2012, 2013, 2014, 2015, 2016 (2012). FOOT OPERATED HAND BRAKE. Gearboxes must be filled with new oil upon installation. All engines & gearboxes will usually be drained of all fluids for carriage. Suitable For Various Models Including W168 and W169 A-Class, W203 C-Class, C208 & C209 CLK, W210 and W211 E-Class, W221 S-Class and R170 SLK. FOR YEARS: 2012, 2013, 2014, 2015, 2016, 2017 (2015). HAND BRAKE. Our friendly office staff will try to the best of their ability to be helpful and deal with any concerns. We have been established for over 40 years and built a reputation second to none as the number one most recognised used van parts supplier in the United Kingdom. E350 Sport CDi BlueEfficiency. Transmission Assembly. E Class 2009 To 2013. MAKE SURE THE PART NUMBER MATCH WITH YOUR OLD PART. Factor Number. All our parts are used second hand and off the shelf so may have storage marks on them. PARKING BRAKE RELEASE. ABOVE ALL GOOD COMMUNICATION AND TRUTH I FIND IS THE KEY TO A HAPPY E-BAY COMMUNITY, GOOD LUCK ! IN GOOD ORDER. This doesn't include NI, ROI, offshore, the highlands or international. Based in Halifax, West Yorkshire, we will do all we can to ensure you get the OEM parts you want, at an unbeatable price. We also promise to do all we can when you encounter problems; all you have to do is to ensure that you are buying the correct part from us.